Our kids birthday party options come in all shapes and sizes. Our unique and private party space includes two fantastical rooms! With Bubbles Academy’s kids birthday party planning efforts, your party experience will be both enjoyable and unforgettable for you, your child and all your guests! 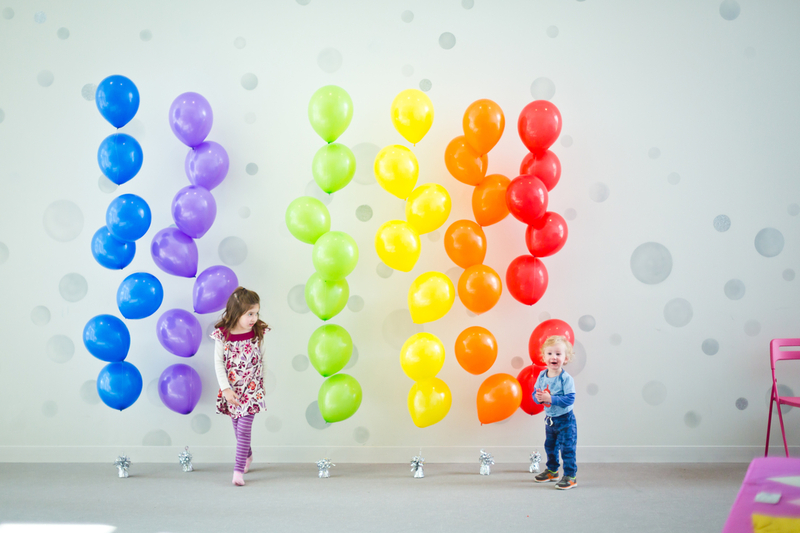 During the kids birthday party planning process you will be assisted by our Events Manager every step of the way — from booking to choosing balloon colors. Our day-of-event coordinator and knowledgeable party staff will keep everything running smoothly. Enjoy your party knowing that we will take care of your child & guests with flawless professionalism! Scroll down to check out all of the #BubblesAcademyBirthday fun! An Open Play Birthday Party is a freestyle playtime experience — with tunnels, balls, blocks, imagination toys and soft foam climbing structures. It’s ultimate Birthday freestyle fun! Our space is decorated with nature murals, and the combination of music and floating bubbles creates a fantastical environment for guests to roam, romp and socialize! Our team recognizes your child’s likes — we’ve set-up climbers to look like a castle or a cityscape, creating a scenic space for the imagination! Private Open Play parties have full use of the open play space. Semi-private parties have shared access to the open play space, and a private dining room. We provide Free Trial Class Passes to include in your guest goodie bags! Ask us about weekday parties after 5:00 at a discounted price. This option includes 24 participating children and 65 adults. $10 for each additional child up to 36 total. This option includes 8 participating children and 20 adults. Please note: For semi-private parties you are responsible for the set-up and clean-up of your event. Balloons, tablecloths, cutlery and paper goods are not included, but may be added for a $50 surcharge. Pinterest Dream: We are here to make your event come to life. Basic decor is included with your party, however if you have a Pinterest dream or grand vision, there will be an event customization fee starting at $100. Theme Parties begin with theme-based fun, like dress-up or story time. Next, you’ll enjoy a theme specific 45-minute activity, led by a talented Bubbles Academy teacher. Birthday families consistently compliment the spectacle, detail and creativity of our themed kids birthday party options. The interactive multimedia we create and utilize in our theme birthday parties is an integration of images, sounds, lyrics and video. Your guests become engaged in imaginative storytelling, problem solving and cause and effect exploration. Together with your party lead performer, children interact with the screen to ride an ocean wave, hike through the forest, and even reach the clouds! Looking for something custom? Contact us for a quote! We are here to make your event come to life. We are happy to provide basic decor, however if you have a Pinterest dream/grand vision, there will be a $100 event customization fee. 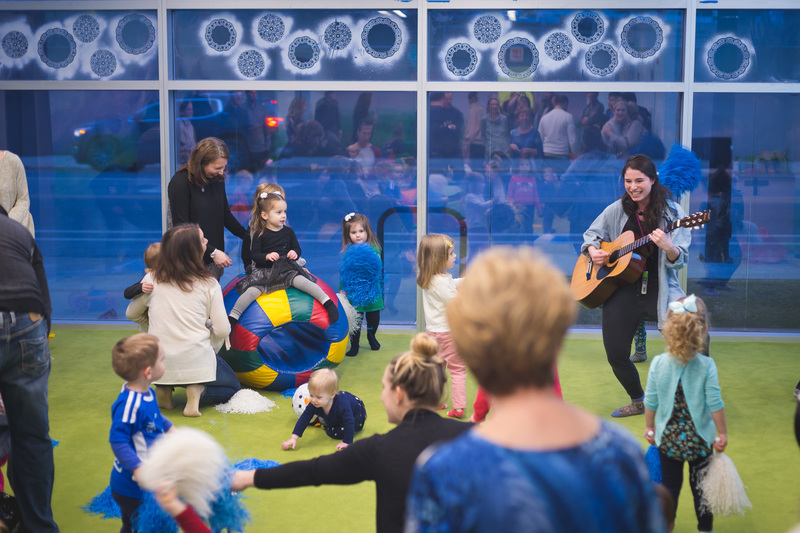 We fuse song and movement activities to create a lively music birthday party experience for both children and adults! One of our star teachers will delight the young crowd with both energetic and classic tunes. The live concert is paired with our Open Play set-up — navigate tunnels, hop over and under climbers, and dance in a wave of bubbles! Shimmy and sing loud and birthday proud to kid favorites like “The Wheels on the Bus” and “The Itsy Bitsy Spider.” We will celebrate the birthday boy or girl through dance time with instruments and parachute games. Fasten your seat-belts — this party is full of drive, fly and zoom action. If you have your own little speed racer, this bash is the perfect song-filled vehicle to celebrate a birthday! Welcome to the Bubbles barnyard where your party guests will be introduced to funky farm animals through prop play and song! Cluck and moo along with us as we celebrate your child’s birthday! Get ready to rock out to the classics as we jam out with instruments! Perfect for rock star 1-year-olds! Swing vine to vine with us, as we introduce party guests to wild jungle creatures through animated song and prop activities. 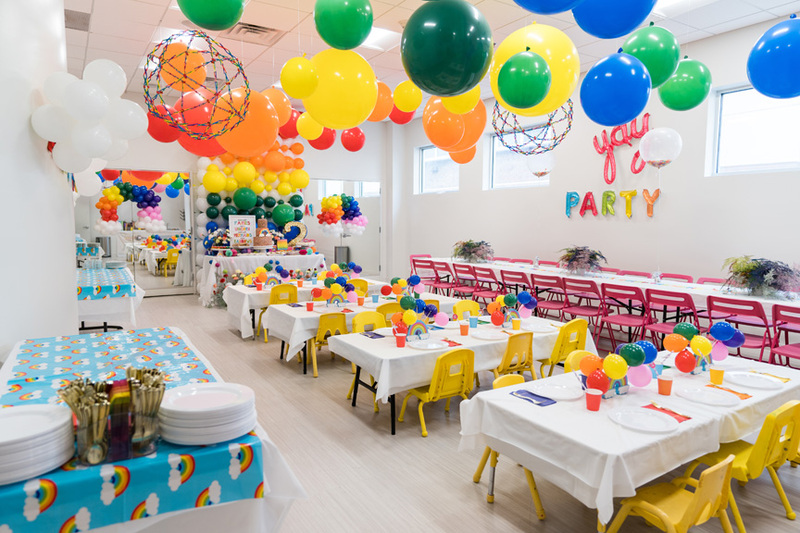 Catch a wave at this sunny birthday party in one of our bright party rooms! Our live soundtrack celebrates summer fun and your birthday beach babe! An Adventure Birthday Party is a sensational fit for imaginative birthday boys and girls! We use interactive videos, props, costumes and songs to weave together an amazing journey. Guests will dress in the finest royal attire and decorate crowns before they embark on an adventure to find the Kingdom’s lost keys, meeting magical creatures along the way. Customizable party decor/printables available with this theme for boys & girls. During our quest we will hide treasure, walk the plank and meet a mermaid with a special request: sail across the sea and save the ocean creatures! One of the most popular parties of the Adventure Series, the Enchanted Forest Party is exciting for boys and girls alike. We will dance and enjoy special effects, interactive video and beautiful imagery while encountering silly toads, disappearing gardens, unicorns and an imaginative fantasy world! This party is best suited for children turning 3 or 4. In this action-packed party, we will learn all the skills needed to save the universe! Superhero students will spread their capes as they fly into the “training center” for lessons in super speed, morphing, balance, agility and strength. Experience a truly enchanting ballet class together with all your friends (tutus included)! We move to classical music with a twinkling, modern twist. Dancers will jump, spin, leap and wiggle together in a celebration adventure worthy of a storybook. Your tiny dancer and friends will create a routine of their very own to perform for family and guests! High kick your way to an AWESOME birthday! The birthday child and friends will train with one of our experienced leads — gaining ninja strength and stealth. We complete an extreme ninja challenge to earn the title of Bubble Belt. We need your help, detectives! Someone has stolen the dinosaur femur from the museum! We will search for clues, find fingerprints with a black light and create a sketch of what the culprit might look like. This party is best suited for children turning 5 or 6. We will warm up by jamming to the latest tunes, followed by forming into bands to practice a choreographed dance to be performed for the party audience. A live video feed to the big screen makes this party a platinum hit! This party is best suited for children turning 5 or 6. We will dress up in space gear, communicate with aliens and dodge meteors as we collect parts for a rocket ship. Parachute games, music and science exploration round out one of the most exciting parties on and beyond planet Earth! This adventure birthday party is best suited for children turning 5 or 6. Get ready for an Art Birthday Party, a true blend’n bash! Designed for budding young artists and imaginers, this party is both art and action! We include hands-on art projects and expressive creative movement activities. Grab your binoculars! Our exploration entails animal mask making, running with cheetahs and flying with exotic birds! Animal songs and video imagery guide our safari. This party is perfect for children who are wild for animals! Let's meet some magical creatures! After painting, glittering and decorating your very own Unicorn, we'll gallop into the next room to activate our own Creative Movement magic. Using wands, rainbows, some help from our magic screen and of course our own enchanted spells, we'll transform into unicorns! Your big kids are sure to love this art and adventure party! Dive into an ocean of fun! In the Under the Sea party, we make sea creature masks using sequins, tissue paper and paints. Next we will swim to our activity room to celebrate the deep blue sea with video imagery, creative movement and songs of the ocean! This party is designed for children who are fascinated by transportation. Each child will decorate his or her own three-dimensional car. 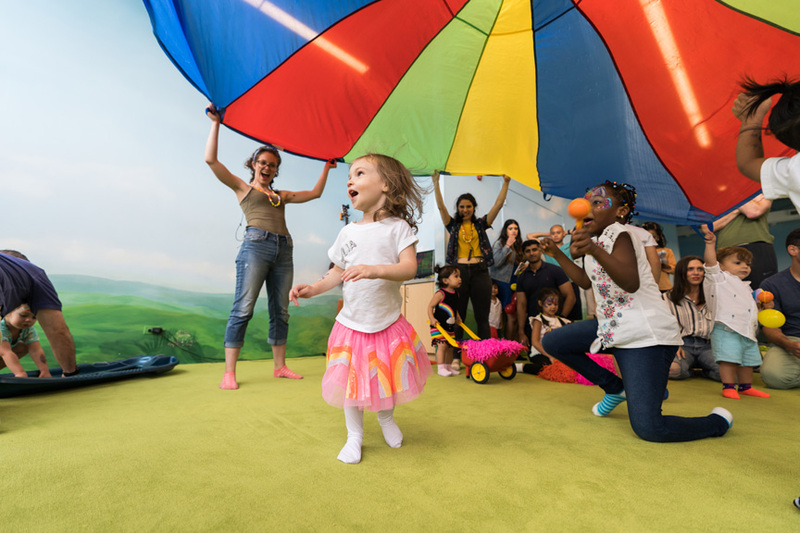 Guests will then steer and scoot into the activity room: a highway of beeping, zooming and flying with friends via video imagery, props, songs and creative movement! Get your birthday energy out in one of our frolic-friendly play spaces at your own Creative Movement Birthday Party! Birthday guests will both move their bodies and express their imagination in tandem. This party is excellent for those who love to climb, run and jump. We use instruments, inflatables, colorful pom-poms and more to act out the Creative Movement story. Creative Movement Birthday Party variations include Construction, Zoo, Transportation, Beach, Monster, Princess, Knight, Circus and Jungle. "I knew going into it that it would be a fabulous time, but I was really blown away by how on top of it the staff was in terms of timing and fluidity. There was something new to happen for the kids so exploring and playing never stopped. With the energy that my little guy had, I was actually nervous about walking into the room with the blocks and tunnels and the staff assured me that it would change up after the music and they were right and very smart. The kids warmed up to the blocks and tunnel, engaged in the music without too many distractions then had a blast with the whole array of open play toys, to the point that we extended it! I also appreciated the fact that I didn't have to look at my watch once. The staff alerted me when something was about to happen. That is something that all parents are constantly doing at parties because they want to keep the flow going without the party going too long (or kids getting hangry) and I did not have to worry the whole time we were there. THANK YOU beyond words!" "I want to thank you so much for coordinating a fabulous party that as one guest said was a "massive success"! Brittny did an outstanding job engaging/entertaining the kids through the creative movement activities and Zoe and the other facilitators did a top notch job managing the agenda and keeping events on schedule. It was truly a wonderful party and ran smoothly thanks to the staff preparation. The facilities are really great space for hosting a party and seating for eating in addition to clean and inviting. Thank you and their party was everything I had hoped for them." "Bubbles went beyond our expectations. The open play was perfect for our kids and their friends. There were also some nice touches that we we weren't expecting (like the minion sign-in card, the minion projection in the food area). Without even asking, the decorations really supported our minion theme. Tyler and the staff made the party a success. They were so helpful with the setup and getting the kids from the play area to the food area. I also liked that the kids can go back to the play area after food. I also really appreciated the staff having the kids put on hand cleaner before going inside the food area. And Tyler cut the cake perfectly!" "The entire process was seamless - from my initial call, to receiving the party packet information and contract, to the day-of set up. It was perfect. Seriously. The room layout was ideal for our party size, the staff was so helpful in setting up all my pinterest inspired DIY decor; they were especially helpful in just managing everything. I didn't have to worry about anything, but watching our sweet baby girl interact with every body! Thank you to Bubbles for creating a wonderful first birthday memory!!" "What a fantastic space for big kid-friendly gatherings!!! I hosted a big 150 ppl Heritage Night event there and I cannot even begin to describe how wonderful it went thanks to this great spot with extremely helpful staff and perfect layout. Everything from their high tech music equipment to awesome toys made our party a huge success. Sierra and her helpers were super accommodating, fulfilled every request we had, helped us to set up food and cleaned the whole place afterwards! And all of this for a very reasonable price!!! Definitely coming back to host another school event at bubbles!!! Those guys are priceless!"